Avocado (Persea Americana) is rich in Monounsaturated and Polyunsaturated fats, which includes omega-3 fatty acids. Avocado contains 65%of monounsaturated fat of their total fat which is about 14.7 grams per cup served. Both the monounsaturated and polyunsaturated fat function by lowering your risk of heart disease, higher cholesterol level and adequate control of blood glucose. According to NHANES analysis the average consumption one-half an avocado (68 g), which provides a nutrient and phytochemical dense food consisting of the following: dietary fiber (4.6 g), total sugar (0.2 g), potassium (345 mg), sodium (5.5 mg), magnesium (19.5 mg), vitamin A (43 μg), vitamin C (6.0 mg), vitamin E (1.3 mg), vitamin K1 (14 μg), folate (60 mg), vitamin B-6 (0.2 mg), niacin (1.3 mg), pantothenic acid (1.0 mg), riboflavin (0.1 mg), choline (10 mg), lutein/zeaxanthin (185 μg), phytosterols (57 mg), and high-monounsaturated fatty acids (6.7 g) and 114 kcals or 1.7 kcal/g. Because enormous help benefits of avocado many population of the world are beginning to carefully add avocado to their diet. Avocado contains a significant percentage of both monounsaturated and polyunsaturated fats. Both helps your body by lowering your risk of heart disease and high cholesterol levels as well as helping you blood glucose level. A 2013 study published in Nutritional Journal shows that avocado were associated with a reduced risk of metabolic syndrome which refers to a group of symptoms shown to increase the risk of stroke, coronary disease and diabetes. Avocado has become popular food among health conscious people because of it many nutrients. It is often called “super food”. A single size avocado weighs between 220 grams and 1.4 kg. The yellow-green flesh inside the fruit is eaten, while the seed and the skin is discarded. Avocado contains of over 20 nutrients which includes vitamin K about 26% of the recommended dietary allowances (RDA), Potassium 14% of the RDA, Vitamin B5 14% of the RDA, Vitamin B6 13% of the RDA and Vitamin E 10% of the RDA. They contain a little quantity of iron, zinc, vitamin A, magnesium, copper, manganese and phosphorous, they also contains about 160 calories,15 grams of healthy fats, 2grams of protein and 7grams of fiber. Avocado does not contain any cholesterol or sodium and are very low in saturated fat. Avocado contains about 9 grams of carbs, 7grams out of this are fiber and only 2 grams are “net” carbs. The high contents of fiber found in avocado makes it an important food to be added to the diet of those who intends to lose weight. Three randomized controlled weight loss trials found that lowering food-based energy density by increasing fruit and/or vegetable intake is associated with significant weight loss (de Oliveira et al., 2008). The energy density of an entire dietary pattern is estimated by dividing the total amount of calories by the total weight of food consumed; low, medium, and high energy density diets contain 1.3 kcal, 1.7 kcal, and 2.1 kcal per g, respectively (Savage et al., 2008). Avocados have both a medium energy density of 1.7 kcal/g and viscose water, dietary fiber and fruit oil matrix that appears to enhance satiety (Wien et al., 2011). This is consistent with research by Bes-Rastrollo et al. (2008), which suggests that avocados support weight control similar to other fruits. An avocado meal make you feel full and satisfy which make you reduce your calories intake and giving you huge benefit of your diet plan. Avocado has been discovered to contain more potassium than that found in banana .It contains about 14% of potassium, 4% higher than that found in banana. Studies have shown that individual who eats high potassium rich food have a case of moderate blood pressure. High blood pressure is a major risk factor of heart attacks, stroke and kidney failure. Fiber are indigestible carbohydrate found in food. About 7 grams of fiber are contained in an avocado.25% are soluble and 75% insoluble fiber. Fiber increase the immune system in your gut, feeds “the good bacteria” and keeps the digestive lining healthy, helping you to avoid constipation and the risk of diverticulitis. Study have shown that eating avocado has significant effect on several blood makers associated with an increased risk of heart disease, these includes cholesterol, triglyceride, Inflammation maker and blood pressure. A study have shown that group of people that eat avocado have a reduce total cholesterol level to a great extent, increased HDL ( the good) cholesterol up to 11%,lower the LDL (bad) cholesterol by 22%, and reduce blood triglycerides by up to 20%. In overall, eating avocado has positive outcome on cholesterol and triglyceride levels. 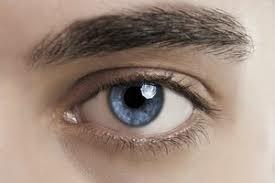 Avocados are excellent source of caroteniod lutein which reduces the risk of macular degeneration and cataracts. Another antioxidant found in avocado which is helpful to the eye is zeaxanthin. Observational studies show that low dietary intake and plasma concentration of lutein may increase age-related eye dysfunction ((Ma et al., 2009; Parekh et al., 2009). Research from the Women’s Health Initiative Observation Study found that MUFA rich diets were protective of age-related eye dysfunction (Chong et al., 2009). Avocados may contribute to eye health since they contain a combination of Monounsaturated fatty acid and lutein/zeaxanthin and help improve carotenoid absorption from other fruits and vegetables (Unlu et al., 2005). Avocados contain 185 μg of lutein/zeaxanthin per one-half fruit, which is expected to be more highly bioavailable than most other fruit and vegetable sources. Adding avocado to your diet could be helpful to your eye health. Avocado contain a significant amount of folic acid, which is essential to preventing birth defects like spina bifida and neutral tube defects. Avocado contains around 45cmg of folate per half-cup more than any other fruit. 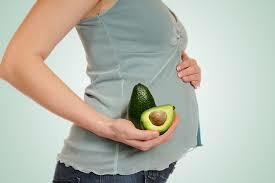 The vitamin B and K are other essential vitamins found in avocado which are recommended for pregnant women. The monounsaturated and polyunsaturated fats are healthy fats found in avocado. The monounsaturated fat keeps the top layer of skin moisturized, keeping you healthy and avoiding wrinkles. The polyunsaturated fats protect the skin from direct sun damage and inflammations. Other vitamins are vitamin C and E, they help keep the skin nourished and smooth. Some nutrients are “fat-soluble”, that is they need to be combined with other fat to aid their absorption. These vitamins includes vitamin A, D, E and K, and antioxidant like carotenoids. 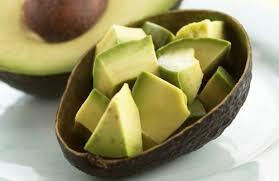 Study shows that adding avocado or avocado oil to salad or salsa can increase antioxidant absorption by 2.6 to 15 fold. In this case avocado or avocado oil not only nutritious but also increase the nutrient value of other plant foods that you eat. A 2007 study in the Journal seminar in cancer biology found that the phytochemical in avocados could inhibit the growth of certain cancerous cells. It has been shown to reduce the risk of certain cancers, including cancer of the mouth, skin and prostate. This is as a result of the antioxidant and anti-inflammatory that it contained. Osteoarthritis (OA) is characterized by progressive deterioration of joint cartilage and function with associated impairment, and this affects most people as they age or become overweight or obese (Dinubile, 2010; Helmick et al., 2008). This joint deterioration may be triggered by oxidative and inflammation stress, which can cause an imbalance in biosynthesis and degradation of the joint extracellular matrix leading to loss of function (Dinubile, 2010; Gabay et al., 2008; Jacques et al., 2006);. 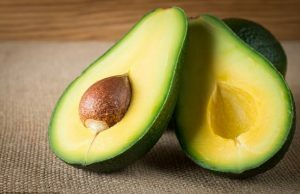 A cross-sectional study reported that fruits and vegetables rich in lutein and zeaxanthin (the primary carotenoids in avocados) are associated with decreased risk of cartilage defects (early indicator of OA) (Wang et al., 2007). Clinical support for avocado and soybean unsaponifiables,in the management of hip and knee OA comes from four randomized controlled trials (Lequesne et al., 2002; Appelboom et al., 2001) and one meta-analysis (Christensen et al., 2008). Avocado should be eaten in moderation to avoid causing problem which could lead to diarrhea or nausea. One full or half avocado is enough to be consume a day. 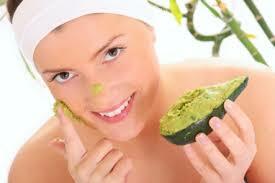 Avocado is a high calorie food, a person on low calorie diet, should avoid eating high quantity of avocado. People on medication should seek help from their doctor before consuming avocado. While buying avocado, you should determine whether you are consuming it immediately or for later consumption. It is advised to buy a ripe avocado for immediate consumption and buy the firm types of avocado to have them ripen for later consumption. 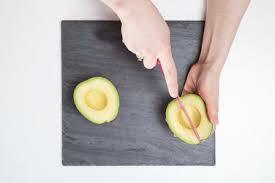 Precausion should be taken when slicing an avocado to avoid cutting your hand which could lead to serious injury. I have always been adding avocado to my diet and i really enjoy it.